Helsinki-based heavy metal band OCEANHOARSE has released the official music video for the song “Waves”. The menacingly slow and undeniably heavy track holds a special place in the band’s heart. “Playing this song has sent chills down my spine at every show. It feels like glazing a gingerbread house with a firehose. In slow motion,” says drummer Oskari Niemi. “‘Waves’ is our heaviest and most epic song so far. I can barely keep my balance onstage with that humongous riff working its way into my brain like hot lava,” singer Tommy Tuovinen added. After two years of working in the shadows, OCEANHOARSE, which consists of familiar faces from the Finnish metal scene, released its debut single and video, “The Oceanhoarse”, in January. It was followed by two sold-out shows in Finland supporting BEAST IN BLACK. It was a conscious decision to hold up the launch until the band was extremely tight, the song material strong enough, and the band’s own unique voice beginning to take shape. Good songs were canned along the way, if the group felt they didn’t fit or weren’t original enough. It didn’t take long to convince Helko, formerly of FOR THE IMPERIUM, to jump on board. Filling the drum spot was looking tricky for a while. All serious candidates were already involved in multiple bands, and sharing was not an option. But the Gods of Heavy Metal decided to bless the new band with the best-kept secret in Finnish metal: young newcomer Oskari Niemi was found through recommendations of friends, and his attitude and playing blew the guys away. It was clear to all that Oskari was the missing piece. 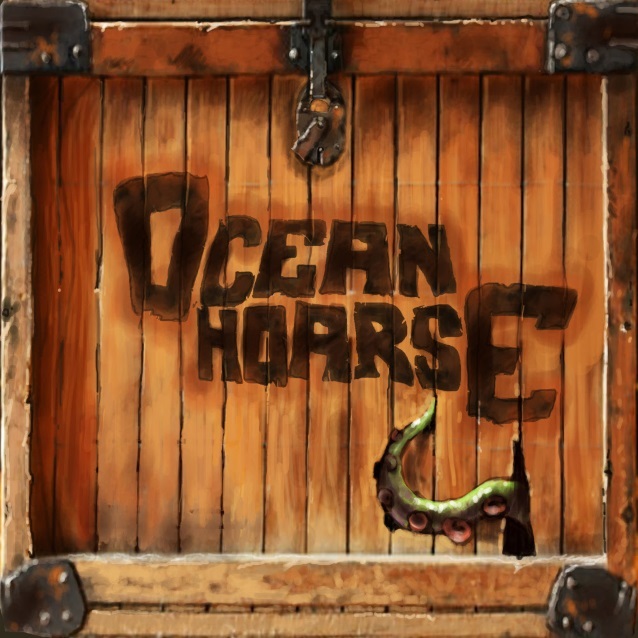 OCEANHOARSE was now complete.